New Music Journals: The Instrumental Music Department is excited to introduce music journals. Every student who is enrolled in instrumental lessons will receive a journal. These journals will be used by the instrumental teachers to write down practise notes. It will also be used for parents and instrumental teachers to communicate any concerns or questions. There are enough pages for the journals to last a year. Students will be expected to bring their journals to their instrumental lessons along with their instrument and music books. While the journals are free, if a student loses their book, they will be required to purchase a new one from the instrumental department for $5.00. 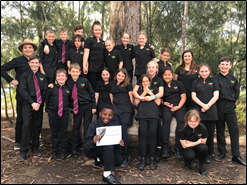 Music Uniforms: If you have a child who is a member of one of our music ensembles your child will be required to wear the College music uniform for the upcoming performances at Open Day on the 18 May. Uniforms need to be purchased through the uniform shop. Please click on this link to read further details in regards to the music uniform requirements. If you have any questions or concerns regarding the uniform, please speak to Stephanie in the College uniform shop. Learning music is amping up their brains. Some of our teachers still have time slots available. The instrumental handbook provides further information regarding lessons offered at the College and the details of our instrumental teachers. 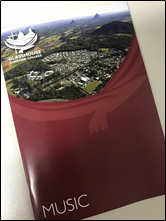 If you would like to discuss lessons with them further please do not hesitate to contact them directly or you can contact Ebony Hilton at ebony.hilton@glasshouse.qld.edu.au who oversees the organisation of lessons at the College. If you would like to enrol your child in lessons, please complete the enrolment form. Once your child’s details have been received, the instrumental teacher will be notified and will contact you within the week to organise a lesson time and day. This entry was posted in Performing Arts and tagged Instrumental Lessons, Music on March 19, 2019 by sandy.